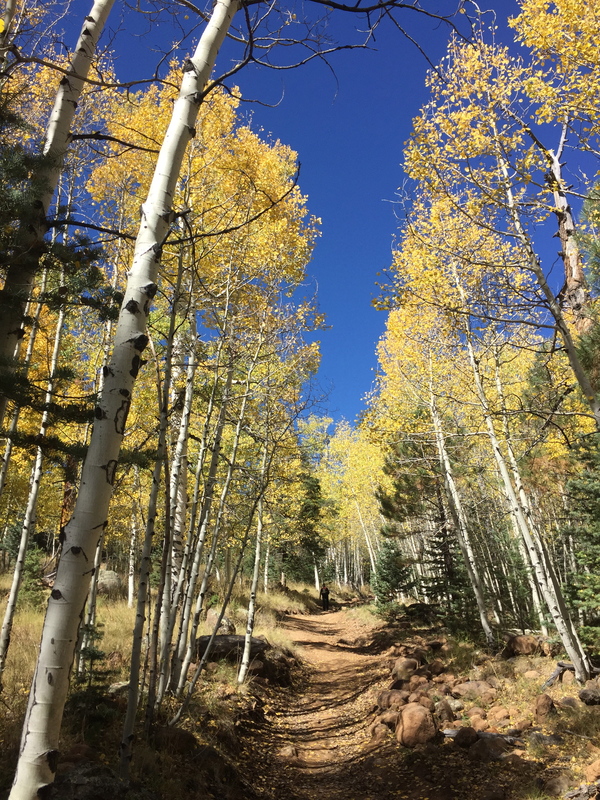 Flagstaff, Arizona, and autumn – could there be two any more perfect companions? For the past several years, I’ve taken an annul trip to Flagstaff in October to get a glimpse of the changing fall colors. I have a thing for the aspens (I know, I’m not the only one!). There’s just something magical, as the glossy leaves turn to a tawny yellow – the white trunks glowing and leaves shimmering in the breeze. 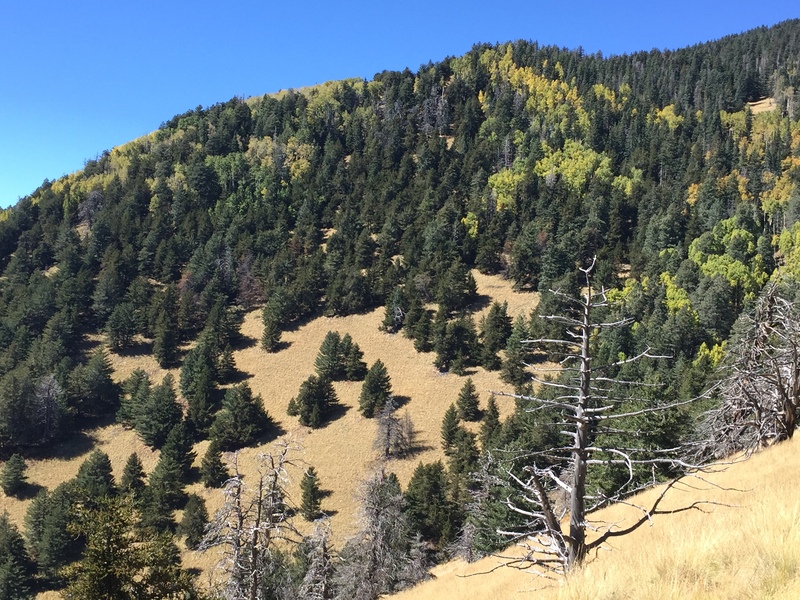 Over the years, I’ve done hikes at the popular Lockett Meadow, Humphreys Peak Trail, and the Kachina Trail – each stunning in its own way. 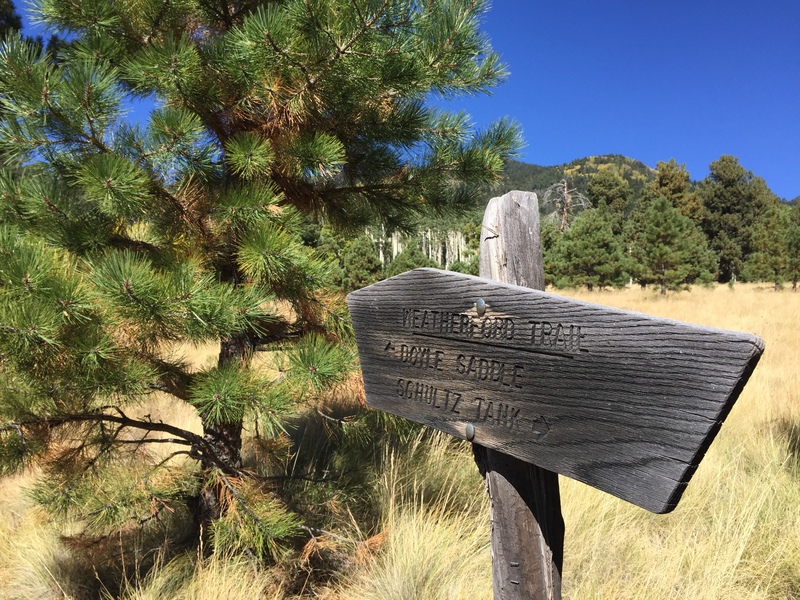 This year, my friend and I decided to check out the Weatherford Trail – a winding wilderness trail that follows the route of a 1920s-era road that had once carried tourists in Model T Fords to near the top of Flagstaff’s San Francisco Peaks.